Janet E. Delk, age 87, of West Milton, passed away on Friday, August 31, 2018 surrounded by her loving family at her home. She was born July 24, 1931 to the late Claude Amos & Treva M. (Carmony) Myers in Montgomery County, Ohio. She will be missed and remembered by her loving husband Robert J. Delk of 69 years; children Diana (Ralph) Simmons of West Milton, Dennis (Tammy) Delk of West Milton, Tim (Teresea) Delk of Lewisburg, Joana Seel of Bradford, and Mary Ann (Richard) Beck of Louisville, KY; 16 grandchildren; 25 great grandchildren; sister Nancy (George) Swank of Indiana. 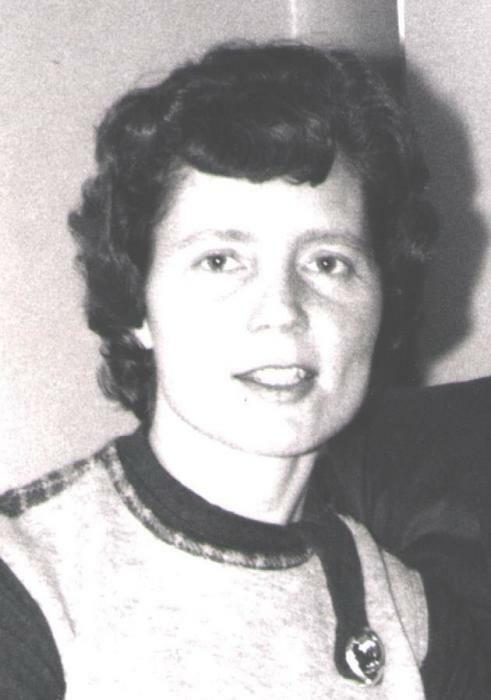 Janet was a member of the Potsdam Church of the Brethren where she was a deacon, secretary and was in the church choir. She also was a pianist and organist, baker, loved playing shuffleboard and Swedish weaving beautiful afghans. The family will receive friends from 9:30-10:30 AM on Saturday, September 8, 2018 at Potsdam Church of the Brethren, 22 E. Cross St, Potsdam, OH 45361 with a celebration of life service to follow at 10:30 AM. Arrangements are in care of Hale-Sarver Family Funeral Home, West Milton. Memorial contributions may be made to Church of the Brethren Disaster Relief Fund. Online memories of Janet may be left for the family at www.hale-sarver.com.